Travel: We recommend catching the train to Geelong for the beginning of the walk or car-pooling, how will you get there? We will be camping some nights, and other night we will be staying in community halls in towns along the route. A sleeping bag, tent, torch, matt, pillow, re-useable water bottle, snacks, small day bag, hat, sunscreen and good walking shoes. If you do not have a tent or sleeping bag, please let us know beforehand. We will attempt to source a few spares but these will be in limited supply. Where will I get food from? How long will I be walking each day? We will be walking for about 15kms each day, with plenty of rest stops along the way. There will be drivers available to take you to the next stop if you get tired or can’t walk the whole way. Do I need to carry everything on my back? No. We will have drivers taking all our gear and setting it up in the next rest-town for us! You will only need to carry essentials you may need for the walk for one day. Do I need to walk the whole way? No. You can start and finish at any point during the walk. We will have drivers available to take you to where you may have left your car or to drop you/pick you up from a local train station/bus stop. What is the walking route? No pets will be turned away, but it is preferred that they stay at home. What happens if I get sick/ have an injury? There will be a paramedic joining us for part of the walk and people who are first aid trained to offer any support needed. There will also always be drivers available to take people to necessary treatment centres. How will I get to the start of the walk? 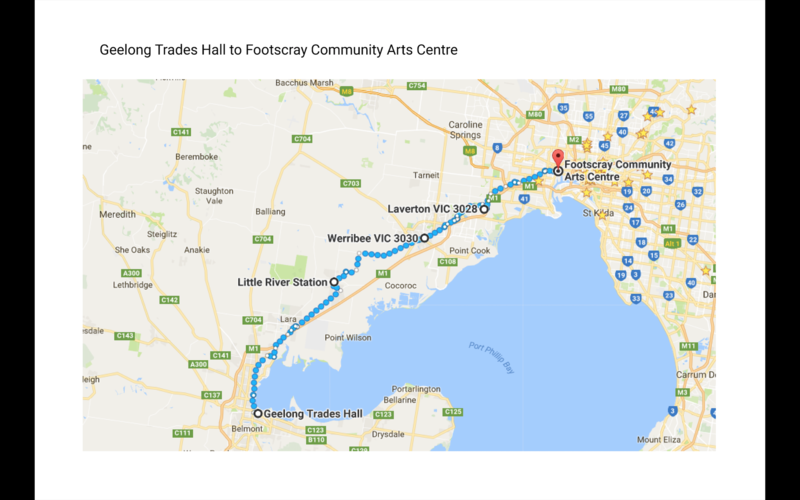 We will be having a pre-walk group breakfast and send-off at Geelong Trades Hall, and will officially start walking at 9am on Wednesday the 26th of April. We suggest getting the train to Geelong. V-line trains run from Footscray station to Geelong regularly. You can also meet us the night before the walk at Norlane Baptist Church, where we will be staying the night. There will be a car pooling team too, so get in touch if you need a ride or can offer someone a lift!! What organisation is running this event? 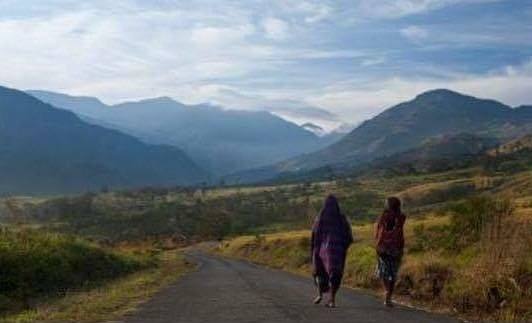 We are a grassroots group of supporters and members of the West Papuan community. if you are interested in getting involved, get in touch.